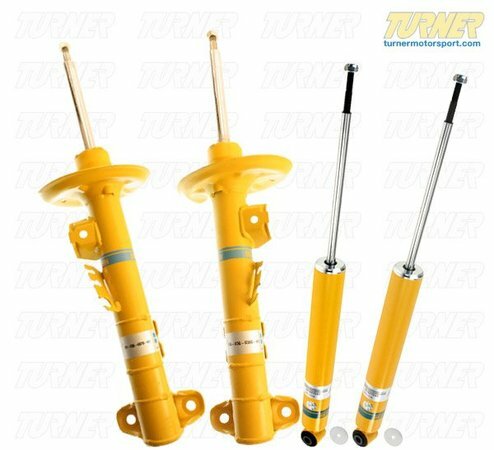 Bilstein Sport Shocks offer a firmer ride quality than standard Heavy Duty (HD) shocks, these are designed for lowered vehicles and sport applications. For the performance minded driver, Sport shocks deliver absolute mastery of the road surface. For 91-6/92 production date but check the front swaybar mounting link before order; for Sport/lowered springs; Set = 2 front + 2 rear. Includes top nuts and rear lower shock washer. The stock rear dust boots are re-used.